On January 15th, 2019, the Supreme Court of the United States issued a decision in the case of Stokeling v. United States. In a relatively rare five to four decision that crossed the normal ideological lines, the nation’s highest court ruled that individual state statutes that require ‘minimal force’ satisfy the prior-conviction requirement under a federal law called the Armed Career Criminal Act. Notably, the specific case that was reviewed by the court originated out of Miami Beach, Florida. In this article, our top-rated Miami violent crimes lawyers provide an overview of the Supreme Court’s decision and we explain the potential implications for defendants in Florida and other states. In 2015, a Miami Beach restaurant was robbed. An employee named Denard Stokeling was eventually identified and arrested for the crime. Mr. Stokeling had prior convictions on his record, including for home invasion and robbery. During the investigation, he was discovered to be in unlawful possession of a firearm. Mr. Stokeling eventually pleaded guilty to a firearms charge. He was then recommended for sentencing under the Armed Career Criminal Act (ACCA) — a federal law that mandates 15-year mandatory minimum sentences for certain defendants convicted on firearms charges. To be sentenced under the ACCA, a defendant must meet certain prior conviction requirements. Specifically, the defendant must have used physical force or threats of physical force in committing a prior felony, for which they were actually convicted. In this case, Mr. Stokeling argued that he did not qualify for sentencing under the ACCA because he believed that he was never convicted of any qualifying offense. While he was convicted under Florida’s robbery statute, that statute does not have an element requiring physical force or physical threat. The question before the Supreme Court asked: Does Florida’s robbery statute — and other similar state laws — meet the ACCA’s physical force requirement? In a split decision, Justice Breyer joined with most of the court’s conservative members in ruling that Florida’s robbery statute meets the prior conviction requirements set forth by the ACCA. In making its decision, the court took a broad interpretation of the ACCA’s physical force requirement. As Florida’s robbery statute requires that the defendant uses enough force to overcome ‘resistance by the victim’, the court determined that even the minor amount of physical force needed to commit a ‘robbery’ in Florida is enough to satisfy the ACCA. The implications of this decision are significant. 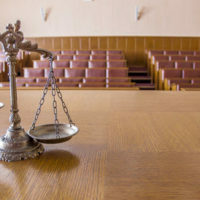 If a defendant has prior convictions on their record — even robbery convictions that may not have seemed to be ‘physical’ in nature — they could potentially be sentenced under the ACCA if convicted of any subsequent firearms charge. At Ratzan & Faccidomo, LLC, our Florida criminal defense attorneys are dedicated advocates for our clients. We have experience handling a wide range of felony and misdemeanor charges. If you or your loved one was arrested, please contact our legal team for a free initial consultation. From our office in Miami, we serve communities all around the region, including Miami Beach, Kendale Lakes, Coral Gables, South Miami, and Palmetto Bay.